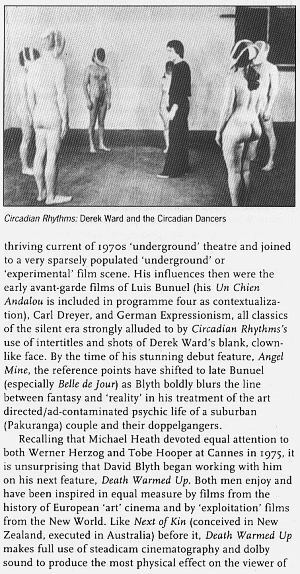 Aucklander David Blyth was cameraman on CANCELLED (1975) with Paul Oremland before making the short psycho-sexual film CIRCADIAN RHYTHMS (1976) followed by the so called punk feature ANGEL MINE (1978). CIRCADIAN RHYTHMS is the New Zealand equivalent of Bunuel and Dali's landmark avant-garde film UN CHIEN ANDALOU (1928). Made up of a series of sequences scripted from dreams CIRCADIAN RHYTHMS attempts to bypass the conscious mind to explore the subconscious. The film opens on shots of a man driving car along a multi-lane highway. Following a car crash the film goes into the man's mind as a flash of consciousness and emotions, complete with exclamatory intertitles such as, "Most mirrors are homosexual," dreamlike imagery and an electronic soundtrack by the New Zealand composer Ross Harris. Toward the end of the film we hear the sound of a woman panting in birth labour. As the images fade to white we hear the actual birth of a child and its bark like cry as it comes to consciousness of the world. 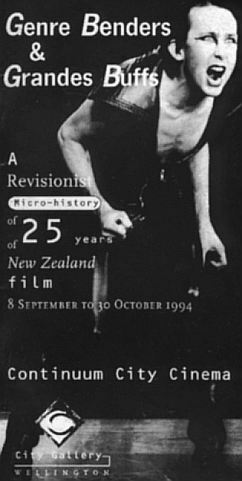 A fundraising event at the University of Auckland for Blyth's first feature film ANGEL MINE (1978) is credited as the first concert of punk rock music in New Zealand and the film was also the first to be funded by the then Interim New Zealand Film Commission. A somewhat ragged and disjointed experimental drama ANGEL MINE brought a Do It Yourself, no budget, punk, or grunge, aesthetic from oppositional forms of popular music to film. 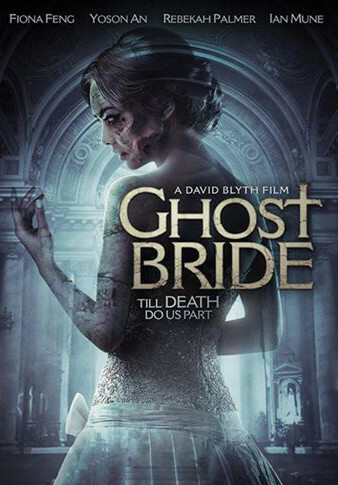 It was, in a way, Blyth's manifesto for a low-budget, independent film scene for New Zealand. Looking at ANGEL MINE almost thirty years after it was made it is amazing to see how accurately it picked up on concerns (around Auckland) at that time about suburban domesticity, as expressed by consumerism and conformity, repressing powerful alter egos. That something dark and dangerous lurks, behind our social conditioning, at the core of all of us. Blyth has continued, in his subsequent filmmaking career, to probe and explore our private and repressed darknesses. FEATURE : Martin Rumsby interviewed David Blyth in June, 2005. This will be presented in serialised format and is extraordinarily candid and revealing. Lumiere Documentary at this year's Festival that includes clips from Angel Mine, the chap speaking at the front is a young Michael Heath. Read the article here. A review of Angel Mine, which recently screened in Wroclaw Poland as part of the biggest New Zealand Cinema Retrospective ever..
David Blyth's first feature film Angel Mine is celebrating its 30 year Annivesary. 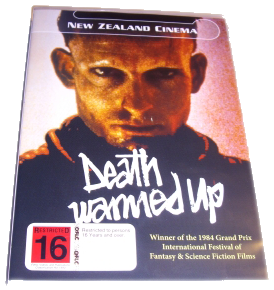 This was the first film funded by the New Zealand Interim Film Commission. Angelmine along with the director is going to attend a large retrospective of New Zealand films in Wroclaw Poland in July of this year. 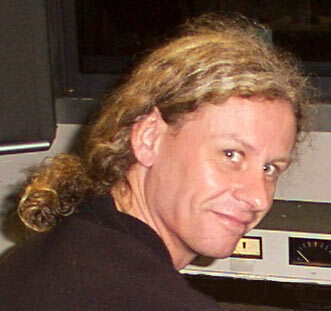 The festival has been curated by Dr Ian Conrich, Head of the New Zealand Media Studies Centre at London University. David has also been invited to give a Master Class at the Media Studies Centre while in London.